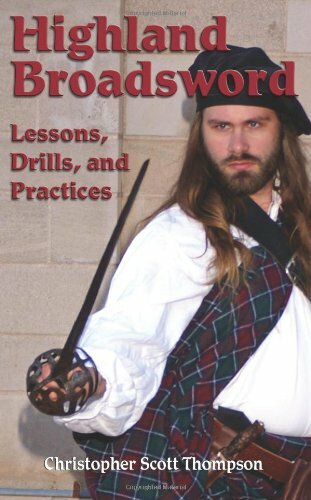 The lessons in Highland Broadsword are designed to help you learn the fundamentals of broadsword fighting, with an emphasis on developing practical skills, not on exploring the esoteric details of broadsword fencing theory. In the first part of the book, Christopher Thompson-who is the author of Highland Knife Fighting and Highland Martial Culture, and runs the Cateran Society Broadsword Academy in Portland, Maine-instructs you in the essentials of Highland swordsmanship, including stances, grips, footwork, and blade actions. After you've mastered these skills, you can test what you've learned with the free fencing and bouting exercises found in part two before moving on to the disarm manoeuvres and advanced fighting techniques in part three. Christopher Thompson is the author of Lannaireachd: Gaelic Swordsmanship, a training manual on the use of the Highland broadsword. A resident of Portland, Maine, Thompson is the president of the Cateran Society, a national organisation that promotes historical fencing with Highland weapons. Christopher Thompson is the author of Lannaireachd: Gaelic Swordsmanship, a training manual on the use of the Highland broadsword. A resident of Portland, Maine, Thompson is the president of the Cateran Society, a national organization that promotes historical fencing with Highland weapons.